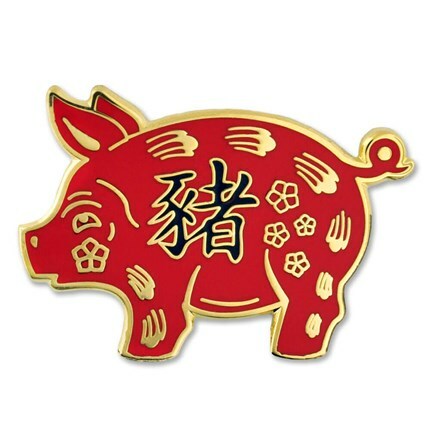 Great time at our Chinese NY DimSum Lunch yesterday at Calgary Chinese Cultural Centre to welcome the year of the Pig. 60 members, new and prospective members enjoyed a wonderful array of dishes prepared for us by Vivian at the Cultural Centre Restaurant. We were joined by many of the families with their adopted Chinese daughters, now many beautiful young ladies. Most went home with one of the many lovely door prizes. We should try to make this our annual celebration together. Happy New Year! 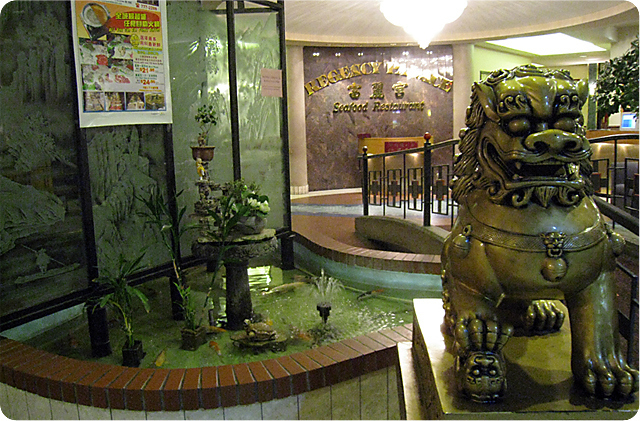 Calgary members enjoyed another outstanding festive season meal at the Chinese Cultural Centre Restaurant. We had a short presentation from Gail Closson and Joanne MacLean on the Forum trip to Hainan Island. They let us us all taste a special drink from that region, which is made into both a concentrated juice and a tea! They also presented door prizes from their trip and beautiful calendars compliments of the restaurant. 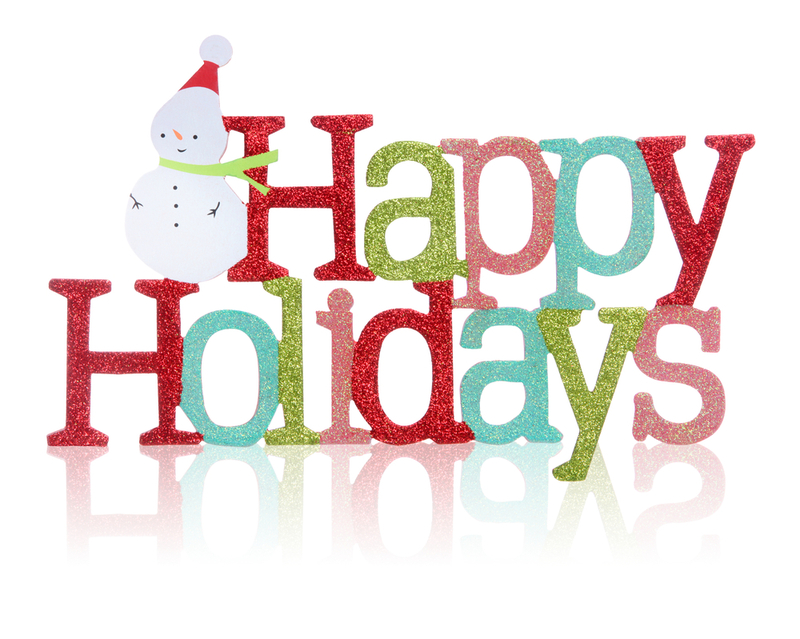 Thanks to everyone who attended and see you at your next event for 2019! Our short AGM was followed by a slide show of Fosters’ colourful 2002 harvest season trip to Kunming and Guizhou. We are pleased the Federation will send a full 10-person delegation to the November Forum in Hainan Island, and that Gail Closson and Joanne MacLean will represent Calgary on that delegation. 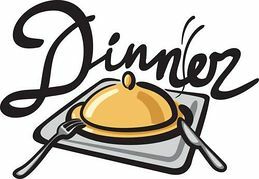 It was announced dinner meetings will be planned for first Mondays of alternate months on Dec 3, Feb 4, June 3, Oct 7 and Dec 2. Thanks to outgoing Secretary Kelly Wan for her faithful service as a director and more importantly gift buyer extraordinaire. Welcome to new board members Joanne MacLean and Alice Shay. 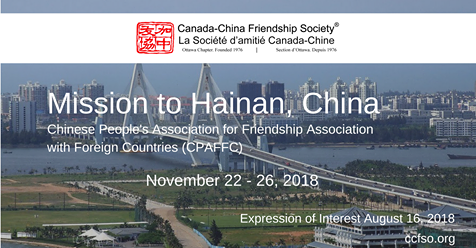 The Chinese People's Association for Friendship Association with Foreign Countries (CPAFFC) will host the 8th Friendship Forum in Haikou City, Hainan Province from November 22nd to November 24th this year. The theme of the Friendship Forum is "Building Maritime Silkroad, Promoting Common Development". 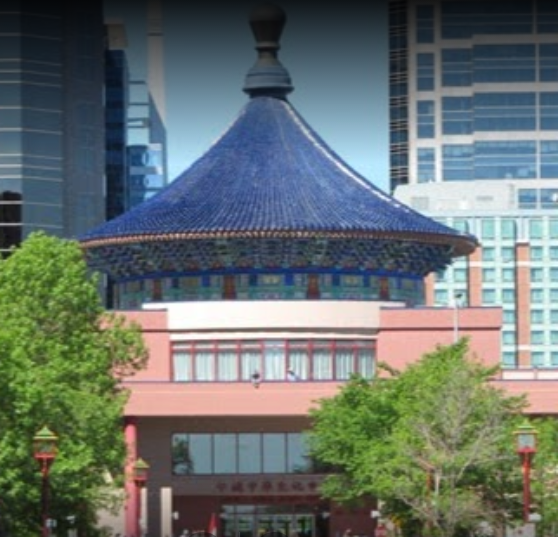 As you may recall, the Maritime Silkroad is the Belt Road Initiative of which CCFS Ottawa has organized and hosted a panel discussion earlier this year. In this China mission, CPAFFC will also arrange visits to some other cities within the Hainan Province from November 25th to November 26th after the Friendship Forum to help delegates learn more about Hainan and its development over the past 40 years. CPAFFC has extended an invitation to the Federation of Canada China Friendship Associations (FCCFA) to join this mission. In response, FCCFA will send a Canadian delegation of up to 10 members, representing the six Canada China Friendship Society chapters in this mission. Each Canada-China Friendship Society chapter will be allocated 1 or 2 delegates based on the 2018 FCCFA tour guidelines. 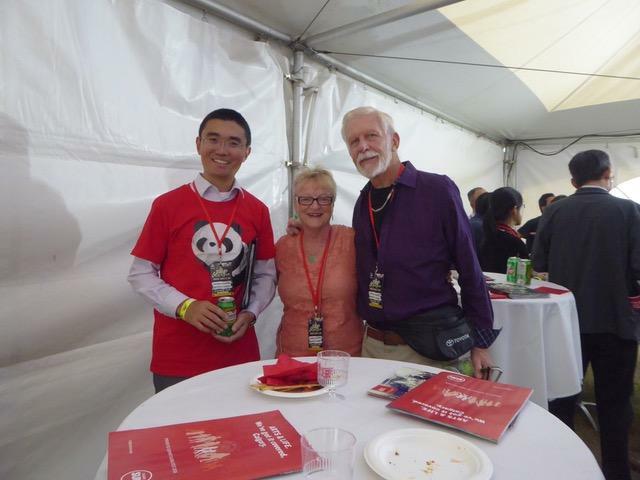 Sheila and Ted attended Consul General Lu’s reception for China Night at Calgary’s International Globalfest and fireworks competition on August 25. 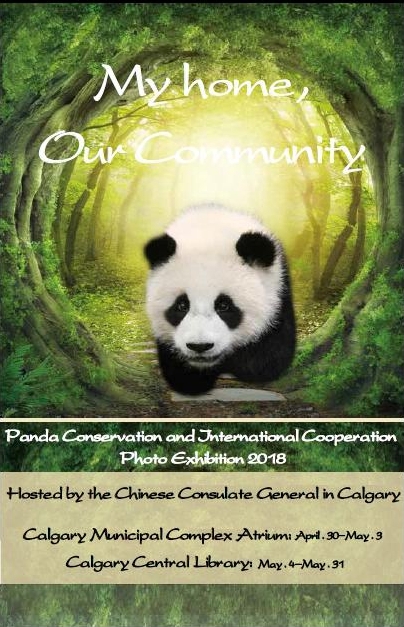 Hello all CCFA fans, We thank everyone who joined us on May 28 for dinner and an interesting presentation on the new stars of the Calgary show - the Giant Panda Family. Parents Da Mao and Er Shun have two little made-in-Canada panda babies, and we will all soon be able to visit them at the Calgary Zoo. Aurora and Kira Becker gave us a fascinating talk after dinner on all things Panda. Later in the year we plan to arrange a lunch with pandas for all of our members. Vivian offered some exciting menu choices and there was definitely much to celebrate Panda's cuisine! 30 Calgary CCFA members enjoyed a special panda themed evening of dinner and a presentation by Kira and Aurora Becker (and mom Norma) on Pandas. We enjoyed their slide show, presentation and a display created all about these cuddly newcomers to our zoo. Since both girls were adopted from there, they have visited China to visit the pandas there, and hope to return to China for a visit again soon. Pandas have one of the highest bite forces of any carnivore and meat tastes bland for pandas. Please take out your phone if you have one: a newborn panda weight less than an iPhone! Did you know that pandas walk with their feet turned inwards? The life span of a giant panda in the wild is about 20 years, whereas more than 60% of pandas born in captivity die within a week. Did you know that panda researchers have to er panda costumes to work with the cub? People like pandas because it reminds them of babies according to some scientists. The giant panda spends 55% of their lives collecting, preparing and eating bamboo. But here is a rather interesting topic of debate: is the red panda a panda or a racoon? Red pandas are classified to be both a lretive of the giant panda family, as well as the racoon family. Currently they are considered to be a part of their own unique family: the Ailuridae. Here Comes the Panda Photo Exhibition! Wanna know more inside scoop about the Giant Pandas before you see them for real in the Calgary Zoo? Maybe you and your kids are already among those excited population who are really looking forward to meeting these chubby furry pandas, namely“Da Mao”,“Er Shun” and their “Canadian Made” kids “Canadian Joy” and “Canadian Hope”. 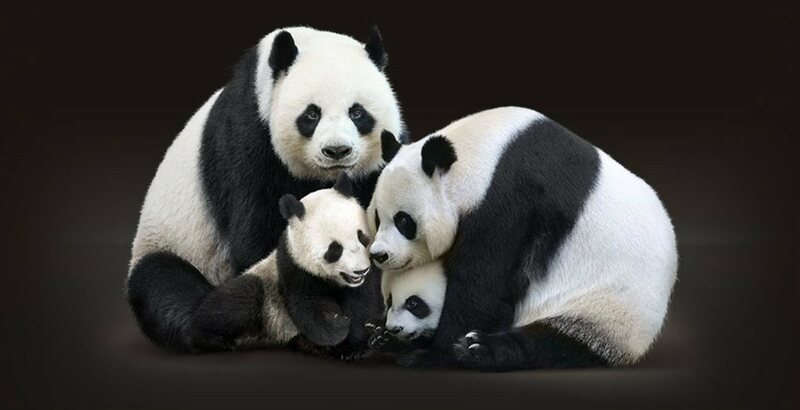 So why not join us for a photo exhibition named "My Home, Our Community--Panda Conservation & International Co-operation" to know more behind-the-scenes scientific & international cooperation tips about the giant pandas? Location: Calgary Public Library Central Location (616 Macleod Trail SE, Calgary, AB T2G 2M2); Time: May 4th to May 31st 2018, Monday to Friday 9AM-8 PM; Saturday 10AM-5 PM ; Sunday 12 PM-5PM. 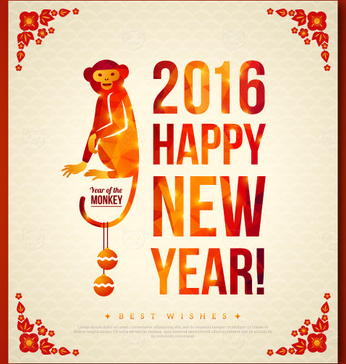 We thank everyone who attended our New Year Dinner on Monday, February 5 at the Chinese Cultural Centre Cuisine. We met at 6:00 pm and dinner was served at 6:30pm. We also thank those who renewed their annual membership. We also had a special guest and presentation after dinner; Linda Ehman. She spoke to us about Teaching in China. 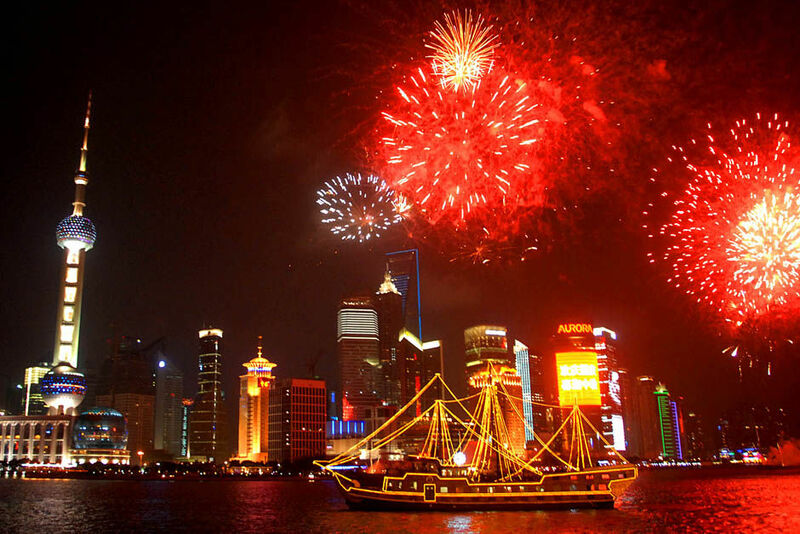 "China is an intriguing country with a long and rich cultural history. Since 2000, I have had the opportunity to visit various locations in China. I have been blessed with a dozen trips, generally, in the role of an ESL teacher. It has been most rewarding and enlightening. I would like to share a few teaching contrasts and similarities of teaching in China and Canada. I am in no way an expert, but am happy to share my opinions, thoughts and experiences in the educational system within these two cultures." 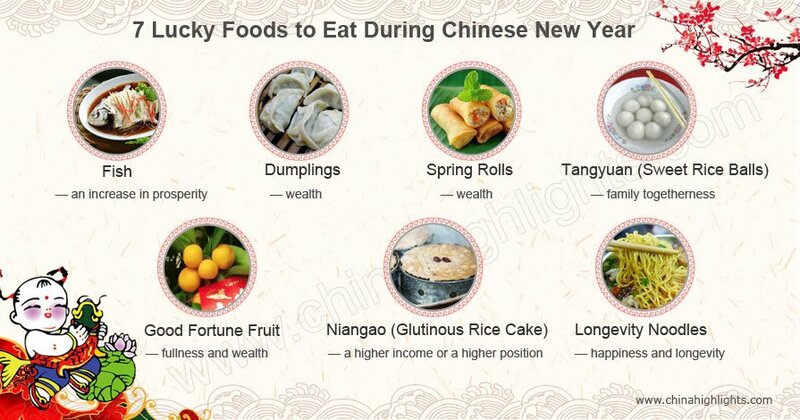 There are seven traditional lucky foods to eat during the New Year, one of which is jiaozi, thought to bring wealth. (Jiaozi resemble silver ingots of long ago). Learn about the other six lucky foods and their symbolisms by clicking on the image. 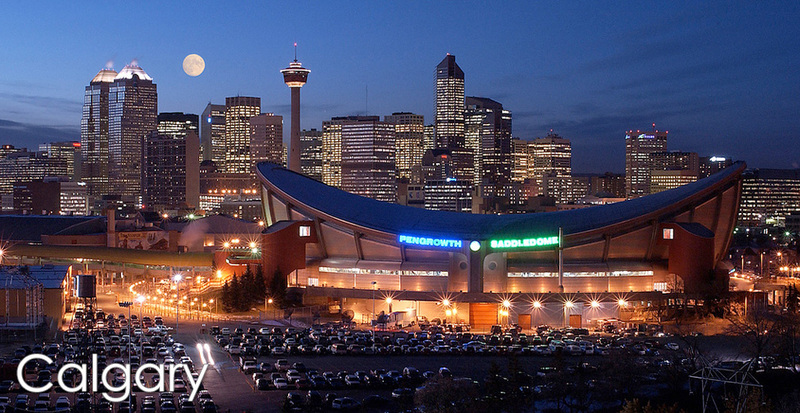 Len has forward us an invitation that we am forwarding to all of you from the Ethno-Cultural Council of Calgary. It is an event on Dec 17; 2pm, it costs between $10-20 depending on the seat you book. Journey with us in this one of a kind community theatre performance of Calgary’s indigenous and ethno-cultural artists. This innovative project brings to life Canada’s roots and diverse history from the experiences of the first peoples of the land and of those who came after. It weaves the narratives of our communities – histories of existence, colonization, immigration, survival, healing and resilience. While our communities faced exclusion and racism, they persevered and thrived to help shape what we are now as Canada. Today, the children of our communities share common aspirations for a more welcoming and equitable society. These stories are told through a fusion of traditional and contemporary art and cultural forms. To purchase tickets, go to this link: Arts Commons (press Ctrl + Click to follow link). For other inquiries, you may call ECCC at (403) 263 9900 or email us at info@ecccalgary.com. Our dinner theme on October 16 was based on the Autumn/harvest time. 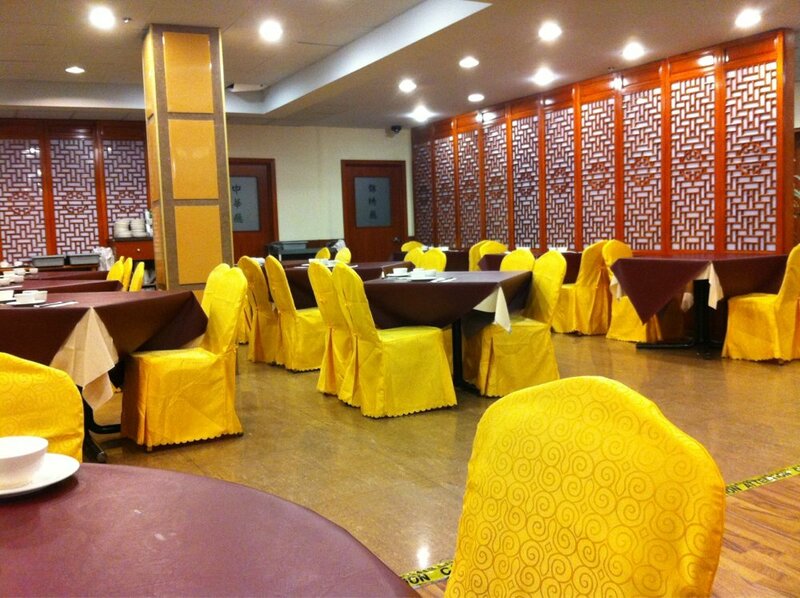 It was held at the Chinese Cultural Centre Cuisine and we thank everyone who joined us for this festive event. We thank Vivian and her team for the exciting menu they put together! There's an important notice about our next CCFA dinner. We have changed the date to Monday August 14, 2017 at 6pm from Aug 7. 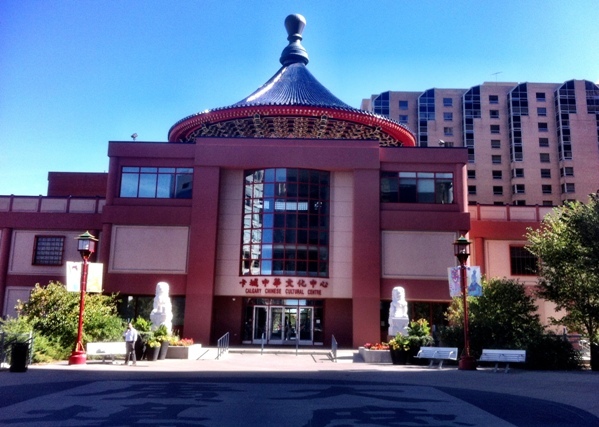 This time we are at the newly renovated Chinese Cultural Centre Cuisine, #88, 197 - 1st Street, Calgary T2P 4M4. There is plenty of free street parking after 6pm. We will let you know the menu plan once it is finalized. Join us after dinner for a short documentary Oriental Bamboo Country. It is a fascinating look at how the bamboo plant has been closely tied to productivity, life and culture in China. Praised by generations of scholars and artists in paintings, calligraphy and music, bamboo has become a living symbol of an unyielding and indomitable spirit. On Monday June 5, we returned to old favourite Regency Palace for a dinner and video presentation about the link between man and the land in Yunnan province. Thanks to everyone who came out and had a wonderful time. Sadly, this is the last dinner our friend Consul Wang Xiaoqing and son Tom will attend, before returning to Beijing this summer. Consul WAng has been a firm a supporter of our dinners, donating many wonderful books for our members to enjoy and learn about China. We wish them both much success in her new posting. 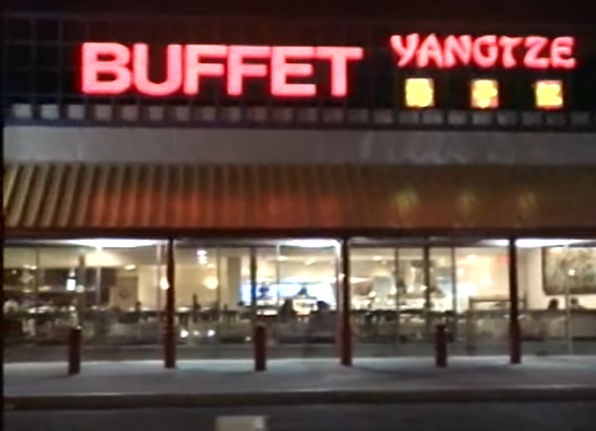 Thanks to the CCCFA members who came out and had a fantastic time and food at Yangtze Restaurant on Sunday April 23, a new venue for us. Everyone enjoyed the Dim Sum, and especially those little egg tarts! After lunch, Kelly talked about springtime customs in China, and shared her family’s experiences with us. After lunch, Kelly talked about springtime customs in China, and shared her family’s experiences with us. Thanks to everyone who attended our Chinese New Year dinner that took place on Monday Feb 6 at Tai Pan restaurant where we ushered in the Year of the Rooster! 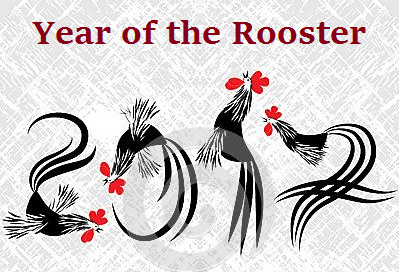 The Rooster is tenth in the Chinese zodiac and each year is related to an animal sign according to a 12-year cycle. Years of the Rooster include 1921, 1933, 1945, 1957, 1969, 1981, 1993, 2005, 2017, and 2029. 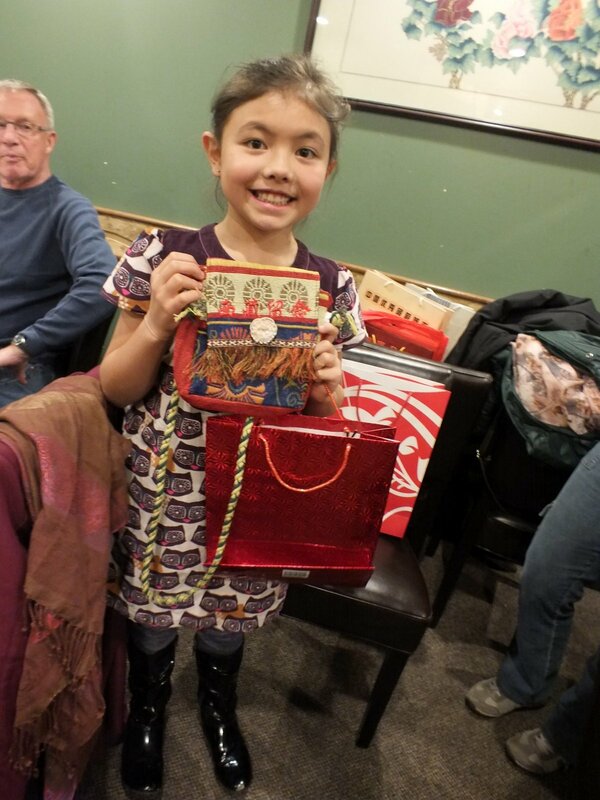 Thanks also to everyone who came out to our AGM and Movie Night at Tai Pan Restaurant, 1518 Centre St NE, Calgary. Tony Lamb presented an interesting movie about China after our always fabulous Chinese dinner! Thanks to everyone who attended Dinner and Move Night at Tai Pan Restaurant. Tony Lamb presented an interesting movie after our always fabulous Chinese dinner. Our video for the Movie Night was The Walking Dining Table - Exquisite Suzhou Cuisines. 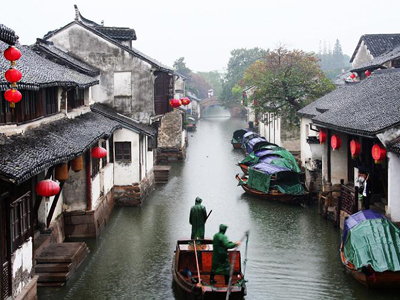 Dubbed "Venice of the East", Suzhou is renowned for its unique atmosphere of canals, stone bridges, ancient architecture and meticulously designed gardens. 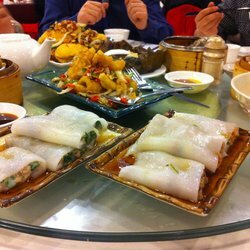 This city also boasts a vast number of exquisite foods. This video introduced the city and those foods that best represent Suzhou. 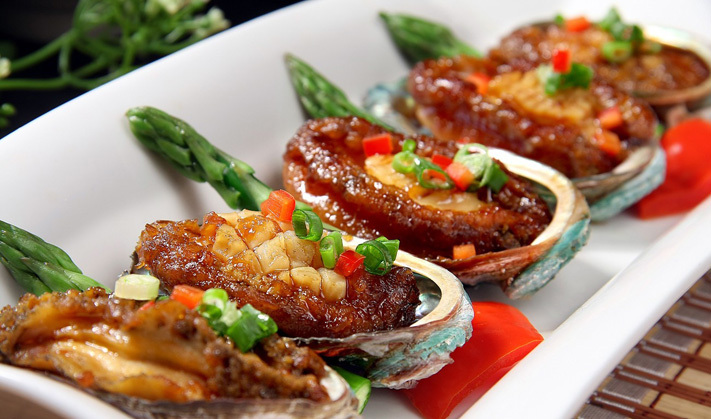 Suzhou cuisine is one of the subordinate of China's “Four Main Cuisines”. It gets famous for being sweet and tasteful, as well as fine ingredients used. Suzhou cuisine involves stewing, simmering, stewing and frying, and pays special attention to the stock. It retains the original flavour of ingredients. We're looking forward to seeing you! 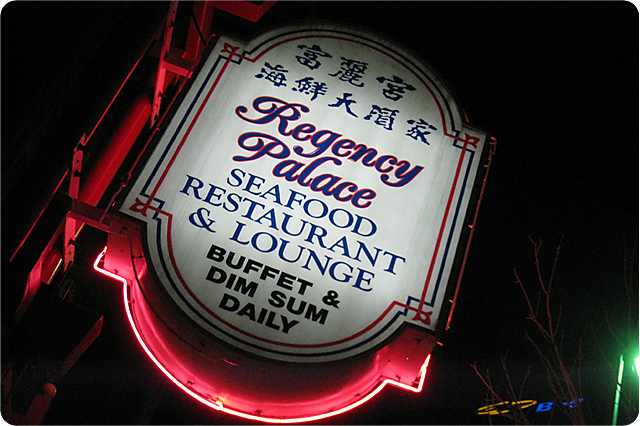 Thanks to everyone who came to our dinner at the Regency Palace Restaurant and heard Karen talk about the Chinese art scene. 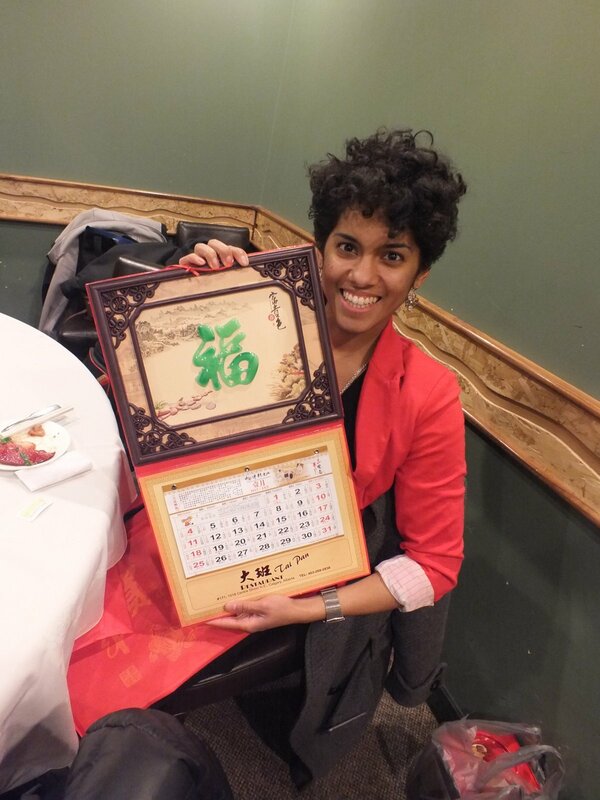 We celebrated Chinese New Year on February 22nd at the Tai Pan Restaurant at 1518 Centre Street NE. There were draw prizes and the food was great as always! Kelly Wan gave a brief presentation about Chinese New Year's customs and foods. As well, Consul Gao Qingjun joined us for the celebrations. You can see pictures at the Photos section. 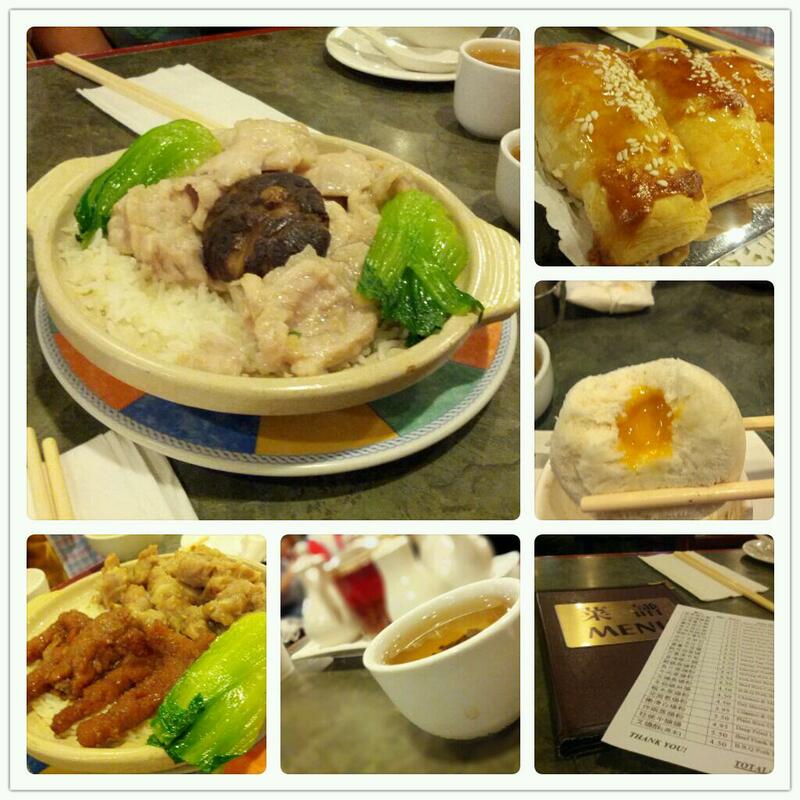 Thanks to everyone who joined us for a pre-holiday season dinner at Tai Pan. Our guest speaker was Consul Wang XioaLin, who made a brief and very interesting presentation to our group on China's economic situation and outlook. 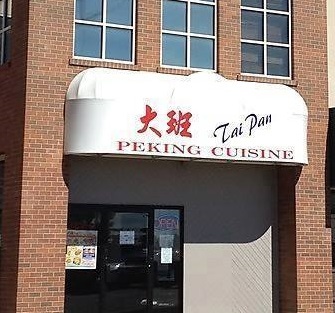 We met at the Tai Pan Restaurant at 1518 Centre Street NE, 403-269-2838. It was a wonderful dinner at Tai Pan when Sheila gave us a presentation of their trip in March and April to SE Asia, including a visit to hill tribes on the Vietnam/China, Yunnan border. 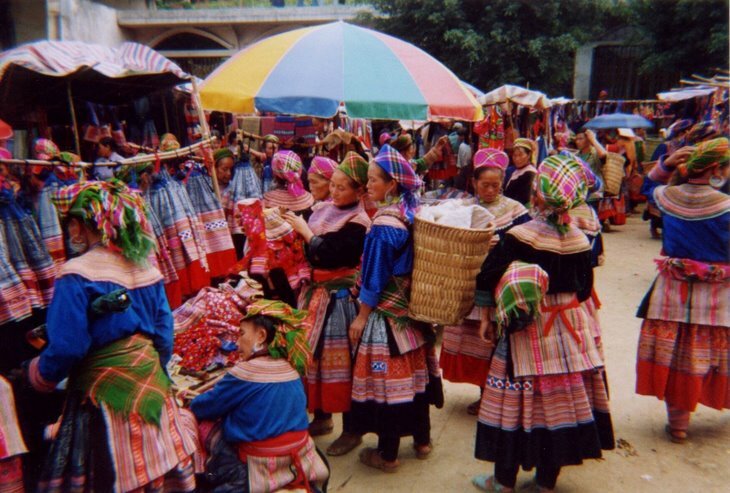 Those were amazing photos of the Sapa mountain area and the famed Bac Ha native market! We thank everyone who attended the dinner and enjoyed the next part of Neutzke's tour of China. We are meeting at the Tai Pan Restaurant at 1518 Centre Street NE, 403-269-2838. There is free underground parking available. As always, don't forget to renew your membership - you can pay at the dinner or mail it in payable to CCCFA, c/o Ted Foster, Oakmount Road SW, Calgary, AB, T2V 4X3. Membership is $15.00 single and $25.00 for families. 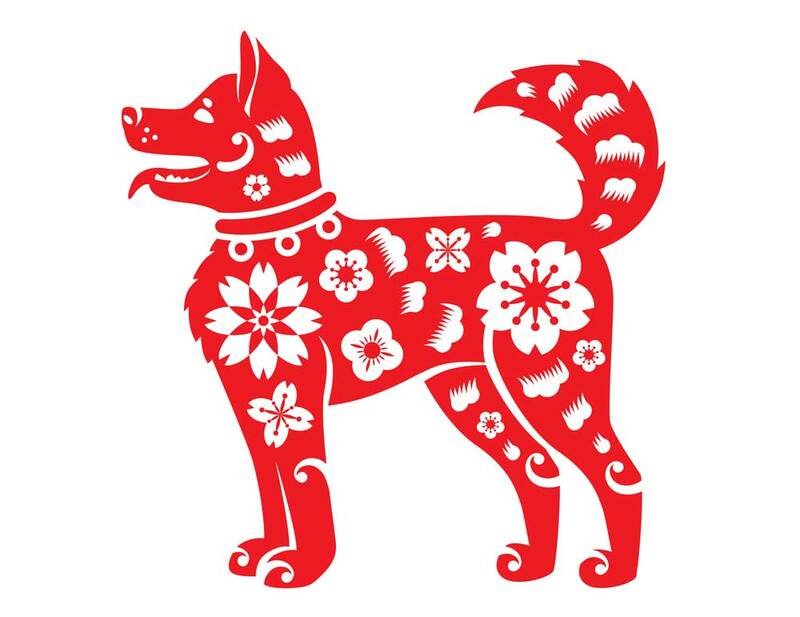 Thanks to all CCCFA members who celebrated Chinese New Year at the Tai Pan Restaurant. After our traditional 3 courses of Peking Duck, we enjoyed a variety of special dishes to welcome in the new year. It was a very special way to bring in the Year of the Ram! 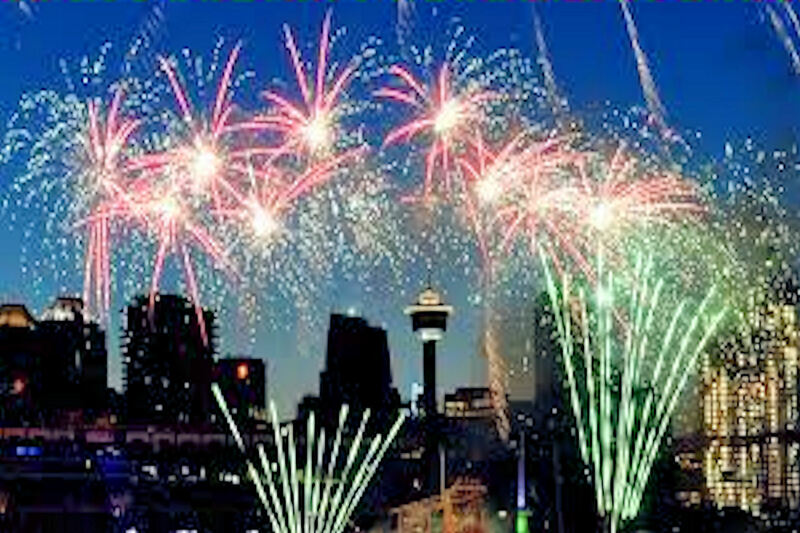 Don't forget to renew your membership - if you weren't at the dinner to get the member rate, you can still mail it in payable to CCCFA, c/o Ted Foster, Oakmount Road SW, Calgary, AB, T2V 4X3. Membership is $15.00 single and $25.00 for families. We thank CCCFA member Len Chan, who gave a wonderful presentation about ‘Chinese Gordon’ also known as 'Gordon of Khartoum'. 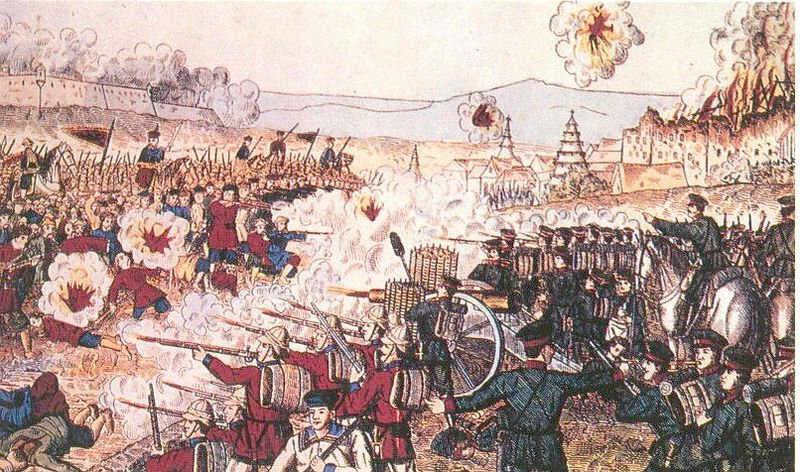 A British army officer and administrator, Gordon was responsible for putting down the Taiping Rebellion in China in the 1860’s. As Governor General in the Sudan, he did much to suppress revolts and the slave trade in the 1870’s. Len shared with us his knowledge of this colourful and often controversial figure in history. 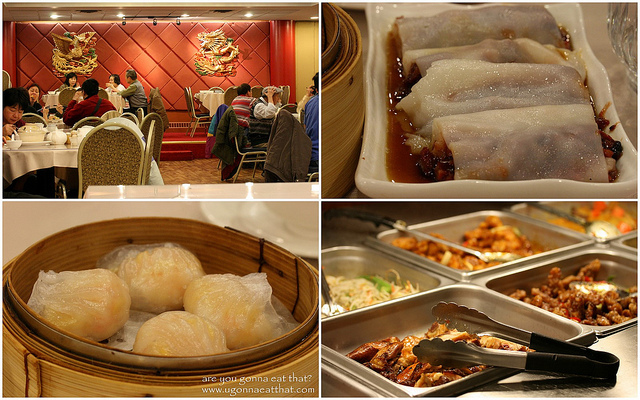 The dinner took place at the Tai Pan Restaurant at 1518 Centre Street NE, 403-269-2838. Don't forget to renew your membership - you can pay at the dinner or mail it in payable to CCCFA, c/o Ted Foster, Oakmount Road SW, Calgary, AB, T2V 4X3. Membership is $15.00 single and $25.00 for families. About 40 members came together for a celebratory lunch Sunday October 6 at the Emerald Garden Restaurant, which had opened specially for us that day. 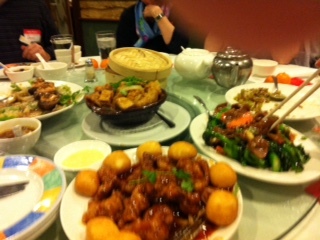 We feasted on Peking Duck followed by chicken, beef, port and seafood dishes. This Macao-type restaurant has been a favourite for many years and did not disappoint with a sumptuous array of flavours. After lunch, or as much as we could eat, we cut the beautiful 40th anniversary cake, produced by Morag made by one of her fellow TaiChi students - almost too beautiful to cut, but we managed to do so. Past president and long-time past member, Sheila Power cut the cake. Sheila was instrumental in first bringing up the idea of a program for families with children adopted from China. We were also pleased to be joined by Xihong Cao, past president of the Calgary Chinese Students and Scholars Association from the University of Calgary, whose enthusiasm helped us set up our joint ShouLaShou program for kids adopted from China. We were pleased to welcome families from ShouLaShou who have adopted children and also Xihong’s two new little Canadians. The lone young man was not shy in joining all the ladies! After lunch director Joanna Chang showed us all how to invent the character for China or Middle Kingdom with a drawn character, a straw and our fingers to create a ‘kingdom.’ Sandra and Morag had arranged craft projects where we all made red celebratory candles (red to signify our ruby anniversary.) For whose who did not want to get hands into it, candles were made by the kids for them. Also there were supplies for mask painting which resulted in some very creative masks. 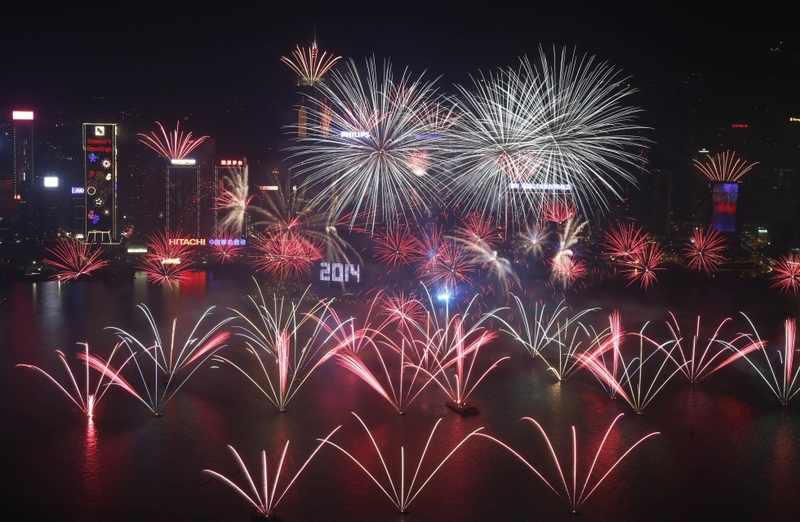 It was a good time to celebrate both China’s national day and our own special anniversary. Thank you to all the directors who worked hard to make this a reality, and all our members and some guests who joined us for our special day. We look forward to our next dinner, which will incorporate a short AGM, on the evening of Monday December 1st. Thanks to everyone who came out to our Dinner on Monday, August 25. Check out a recap along with pictures at the PHOTOS page. Neuczki Mathurin, one of our members, did a wonderful presentation for us. Neuczki first went to China to attend the Shanghai International Youth Summer Camp in 2006. She was one of two CCFS-Ottawa Chapter students to receives the Harry Elton Memorial Fund bursary, which granted her this opportunity. The 10-day whirlwind through Shanghai and Hangzhou’s main tourist attractions was just a sample of much more to discover. In May of last year, Neuczki’s desire to return came true. 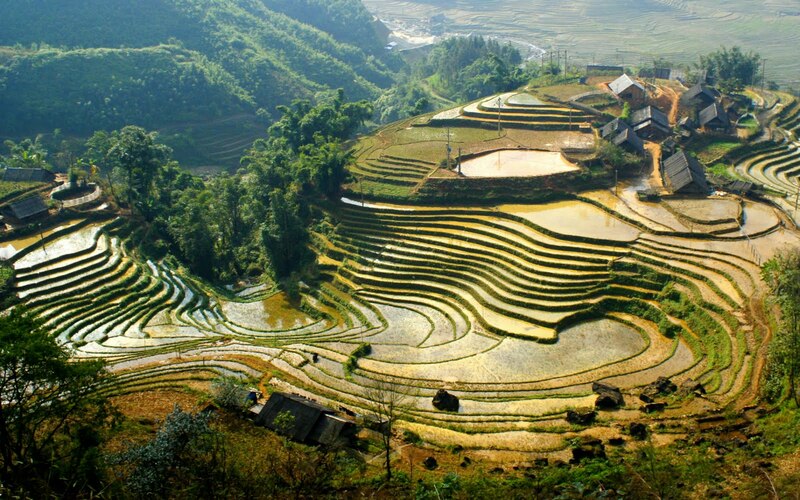 Over the course of three months, she backpacked through eight Chinese provinces. Although hard to resist shopping in the big cities, this trip became an occasion to witness and experience China’s natural and historical sides. From hiking in Yunnan to scrambling a lesser-known part of the Great Wall and from vising pandas in Sichuan to riding camels in Dunhuang’s desert, Neuczki will be sharing her ‘wild’ encounters through China. Calgary Canada-China Friendship Association and Shou La Shou Program celebrated the start of summer and July 1 Canada Day with a DimSum Brunch at the Chinese Cultural Centre Restaurant (lower level) from 11am to 2pm on. Summer is a good time to meet and we thank all who were able to make it! Photographs from the event can be seen at the Photos page. Thanks to everyone who attended our Dinner at The Regency Palace on May 5. It was an evening of good food and friendship and we were honoured to have Consul Jia Xiaopan , Consul Wang Xiaoqing and Consul Wang Xuhong as honoured guests. . On their recent visit to Ontario, Sheila and Ted Foster visited the Norman Bethune home and museum in Gravenhurst. Sheila gave a short and very insightful presentation on this important Canadian hero and his life and work, especially in China. CCFFA holds bi-monthly dinner meetings for its members.at various restaurants. Meetings are generally held he first Monday of the month. Cost: $20 adult member, Children: $5 under 5, $10 aged 5-10. October and December.  Lunchtime meetings are planned for January 24 and perhaps August. Feb 24 - Shou La Shou (Hand in Hand) Program Launch: 11 families and 13 children and about 20 UofC Chinese student friends were matched in this joint program with Calgary Chinese Students and Scholars Association. About 65 people attended a lunch. Joanna Chang led learning games. Len Chang took photographs of the event. Feb 4 - Chinese New Year Dinner,Year of the Rat: a festive evening with 35 people welcomed the wily Rat. Dec 17: CCCFA executive members attended a private dinner at the PRC Consulate with Consul General Wu and his staff. Nov 4 - Federation AGM Conference Call attended by Sheila Foster and Morag MacLellan. Drs. Aileen and Fleming McConnell awarded honorary federation memberships for a lifetime of service to Canada/China friendship in Victoria. November - CCCFA executive hosted 6-member Hubei province delegation led by Provincial Vice Chairman Chu Chunlin, a host of the 2006 CPAFFC Forum in Wuhan. Oct 1 - Moon Festival Dinner and AGM - Moon cakes and a special dinner preceded our AGM. We congratulated Delphine Lemire on attaining her 90th birthday. Aug 13 - Dr. Linda Wu gave an interesting after-dinner talk on Acupuncture.